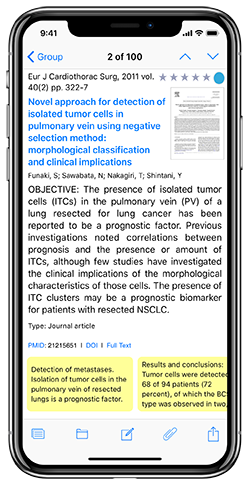 References On Tap (previously PubMed On Tap) is an application for your iPhone, iPod Touch, and iPad that lets you search PubMed, PubMed Central, Google Scholar, JSTOR, LOC, arXiv and Web Of Science while on the go. 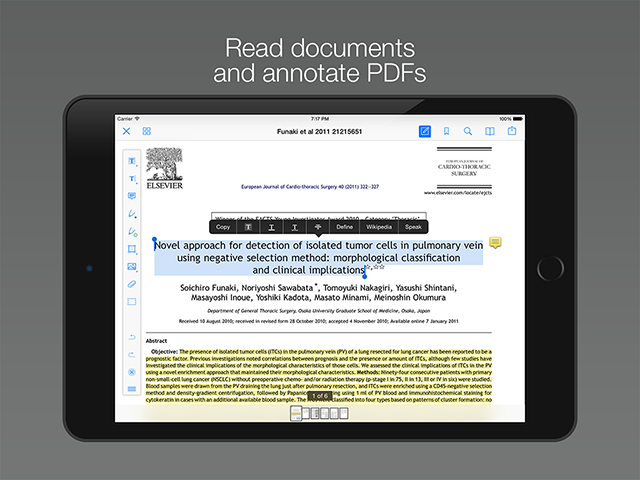 Find, display, and import reference information and pdfs of the full article (if you have access privileges). 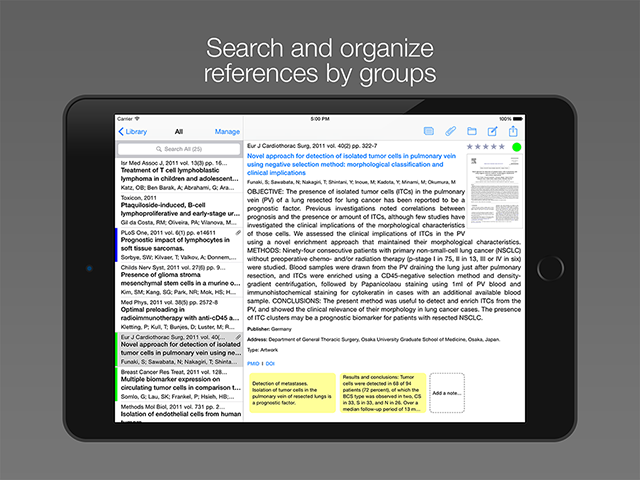 You can search your personal reference library, organize your references in groups (static and smart), annotate your pdfs directly within References On Tap, and email references from your device to yourself or others in a form suitable for reading or importing into desktop reference management applications. Many features are optimized for reference retrieval and management (advanced boolean searches, search for Full Text or Free Full text, recall recent searches, etc.). Use iCloud to sync all your libraries and attachments across iOS devices, and have full access to your references and sources when you're on the go. Check out Bookends for iOS - References On Tap's big brother. Bookends lets you search PubMed, PubMed Central, Google Scholar, JSTOR, LOC, arXiv and Web Of Science. Create temporary or final citations. Autofill references from the internet by DOI or ISBN. Scan barcodes. You can also sync your iOS libraries with Bookends on the Mac.